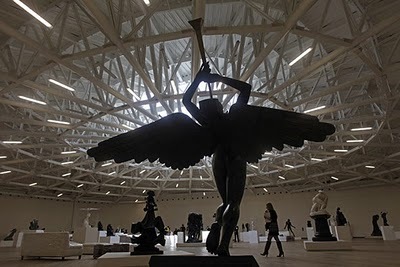 The Mexican billionaire, Carlos Slim, inaugurated 2nd of March a massive museum in Mexico City to house his eclectic collection of art over then 60,000 pieces, ranging from pre-Hispanic pieces to sculptures by French masters, making it one of the biggest Museums in Latin America. 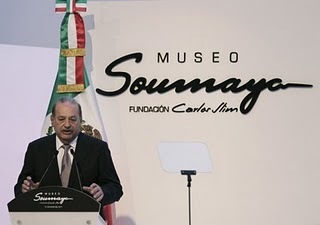 The Soumaya Museum, credits his wife Soumaya, who died in 1999, for giving him his interest in art. 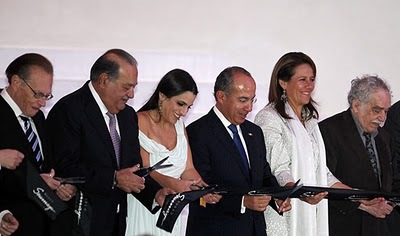 1,500 guests ranging from Mexico’s president to Nobel Prize winning author Gabriel Garcia Marquez toured the asymmetrical building that will be opened to the public later this month. Slim, worth US$53.5 billion (RM163 billion) according to Forbes magazine, made his fortune in telecommunications and now controls retail stores, mining and oil drilling firms. 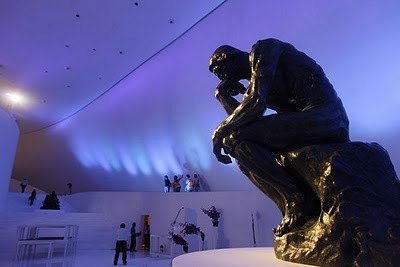 The museum will be home to one of the world’s most important collections of Auguste Rodin’s sculptures, Cezanne, Renoir and Leonardo Da Vinci and also prominently displays works by Mexican muralists Rufino Tamayo and Diego Rivera will be displayed at the museum. The AFP quoted Slim saying that the prime aim of the museum is to boost “human development” in the country and hence there would be no entrance fee. 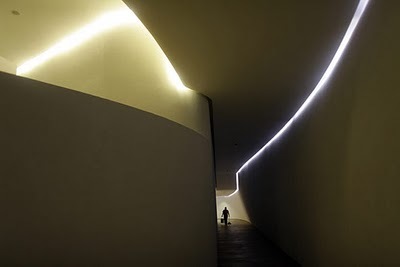 Part of an 800-million-dollar urban development scheme, the Soumaya Museum‘s curving metal facade has been designed by Slim’s architect son-in-law Fernando Romero and is covered with thousands of light-reflecting metal pieces.